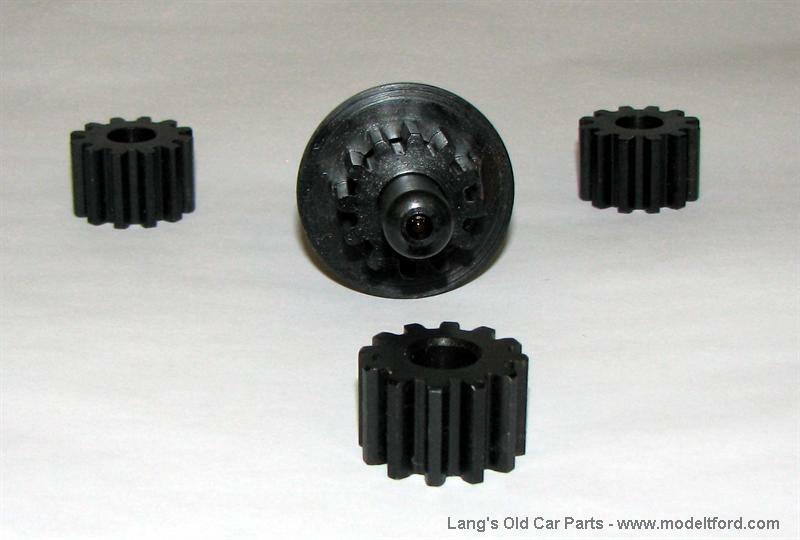 (NOTE NUMBER WRONG IN CATALOG DOUBLE CHECK WITH CUSTOMER FOR YEAR OF CAR-SEE PAGE 43 IN CATALOG FOR CORRECT PART NUMBER) Steering gear drive pinion and gear set, 4-1 gear ratio, 4 piece set, OVERSIZE pinion shaft to take up play in gear cover. Cover may have to be machined to fit. Steering gear pin set, 4 piece set to fit all cars.